The Army claimed that Pfc. 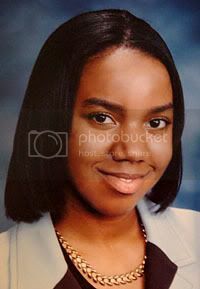 LaVena Johnson killed herself in Iraq in 2005; LaVena’s parents maintain that their daughter was murdered. Last week, the Johnsons had LaVena’s body exhumed for autopsy. St. Louis CBS affiliate KMOV-TV (channel 4) will air a report on the autopsy findings tonight at 10 pm Central. The promo for the report is available on the station’s website. The full report will likely be posted there after the broadcast. KMOV was the news station whose report on the LaVena Johnson story in February sparked renewed attention to the case. Another sign of the end of days! Where on earth did this woman come from? Don't you dare call it a change of course! What? Can't a country do war exercises? So... What do they know that we don't know? Isn't it supposed to be on an island? Does melamine have anything to do with autism?